Nigeria received with great excitement the announcement by Roberto Azevêdo, Director General of the World Trade Organisation of entry into force of the Trade Facilitation Agreement (TFA) on February 22, 2017. 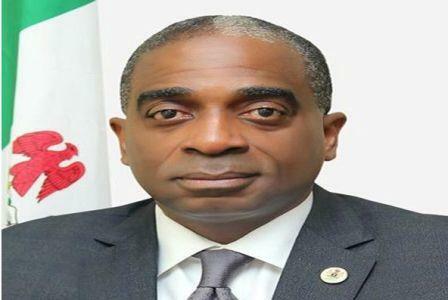 He said the NEPC expects remarkable outcomes for international trade through TFA, which aims to expedite the movement, release and clearance of goods including goods in transit. It will reduce bureaucracy at the borders for faster, cheaper and easier trade and is expected to increase trade and investment. The agreement promotes trade by establishing harmonised rules to further expedite the movement, release and clearance of goods crossing borders, including goods in transit. It offers opportunities especially for SMEs to engage in formal export of goods, which have so far, been informally traded across borders. With TFA, a larger number of exporters to partake in global value chains, thereby enabling all businesses to tap into the huge potentials of trade. Of particular importance for non-oil export is the commitment to accept electronic documentation (SW), test procedures and method of handling perishable/rejected goods. For Nigeria, the much-advocated National Single Window (NSW) initiative would bring about faster services at the borders for both imports and exports. It will also ensure correct revenue collection and create room for transparency in governance, better public service and modernization through e-legislation, thus creating a win-win situation for both government and business.